When people develop a bad habit, it’s generally hard to just quit cold turkey. Usually they’ll try to just stop and what happens is they’ll find themselves reverting back to that old habit only because they didn’t replace it with a new habit. Now, the advice I’m going to give might sound unconventional, but I think there’s something to this. Rather than replacing an old, bad habit with a “lesser evil”, you can use this little trick to help quit a bad habit. It’s not foolproof, but I believe there’s some merit to it. That trick is drinking lemon water. I know it sounds weird, but I’m going to offer you 5 reason why you should start drinking lemon water to help end a bad habit. 1. Lemon juice can alter your brain chemistry: Since it’s high in both potassium and magnesium (which are beneficial to your brain), lemon juice can help produce positive affects on mood, the alleviation of stress, help you focus more and can even ward of depression. 2. Lemon juice can help soothe the gut: This is also has to do with your brain. There is a known connection to gut health and your brain health. Since lemon juice shares a similar chemical makeup as your stomach acids, it can help aid in digestion. Lemon juice contributes to a healthy digestive tract and can enhance detox. Many bad habits cause toxins to build up in the body, and anything you can do to help detox will help heal your body and your brain. 3. Lemon juice can help increase immune function: Lemon juice is high in Vitamin C. Vitamin C, as you might know, works to enhance the ability of the immune system to fight off pathogens and disease. Plus, lemon has a unique ability to help you absorb iron from your food, which also does wonders for immune health. Sometimes, when you kick a bad habit you might get sick, or feel sick, so this could help to give you a small, psychological edge. 4. 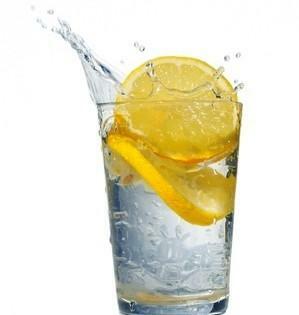 Lemon is alkalizing: One of the theories is, if your body isn’t alkaline, you can fall into poor health. Even poor psychological health. Lemon works to help bring the body alkaline…into a state of stasis. In this state, your body is able to function as designed. In stasis too you are given a better chance to help make new, healthy habits; permanent. 5. Acts as a natural stimulant: Keep in mind most people look to bad habits to give them a sense of stimulation. Lemon juice will not provide anywhere near the rush a cigarette, or even junk food will. However, it’s sour taste can excite the taste buds and can create a new positive association an old habit once occupied. Lemon juice is not a stimulant in the traditional sense, but by training your body to seek out lemon juice instead of an old high, you’re tricking yourself to look for a different fix. The End For Lemon Juice? Now, this is in no way a comprehensive list on a.) the health benefits of lemon juice, or b.) the full extent of why people fall into bad habits. If you struggle with a bad habit, sometimes all you really need to do is a simple replacement therapy. Many times, health is controlled by the mind. Harness the mind’s ability to create new positive associations with healthy activities, and you can be set free from nagging habits you want to get rid of. For many of you, something as simple as picking up a glass of lemon juice every time you want to do something might be all you need to change your behavior. Ultimately, Lemon juice might not help you kick a bad habit. But drinking it is still good for you.